In terms of tasty app discounts, the Mac-owning minority gets all the love — no fair! 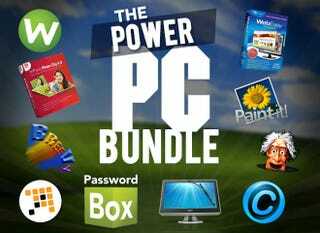 To even things up, we've put together a great PC bundle, including apps like CleanMyPC ($40) and Breevy ($30), and taken 84% off the MSRP. PasswordBox Unlimited ($12) – Keep all your password in one place, but across any device.